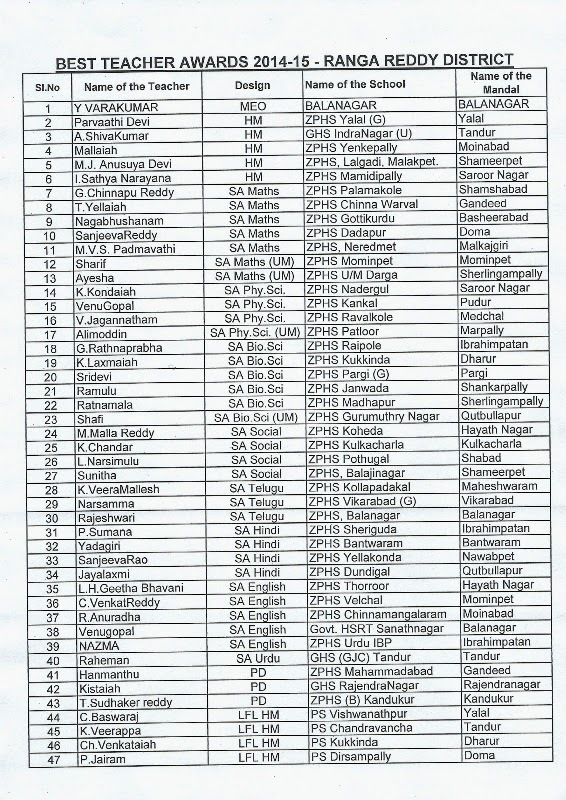 Sri.G.Ramesh District Educational Officer,Ranga Reddy Dist has been released a list of best teachers awardees for 2014-15. 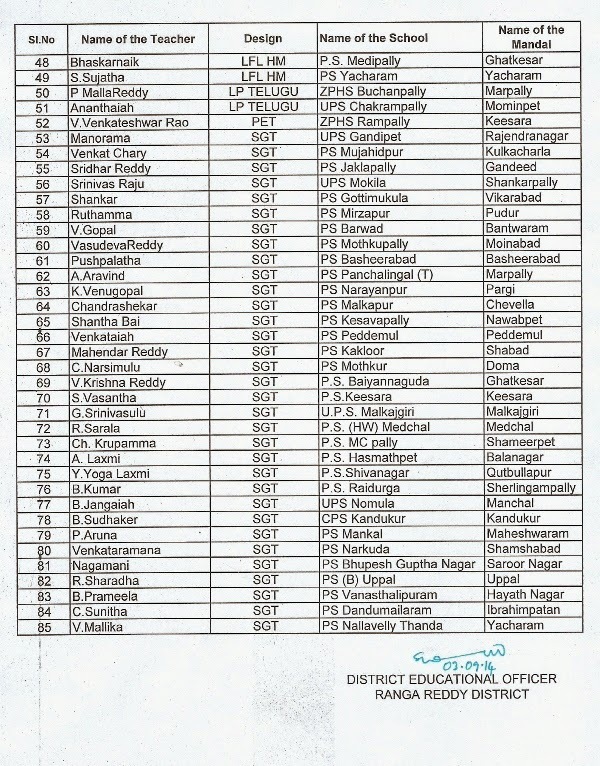 DEO Ranga Reddy dist has adopted a new system to select best teachers for this year which appreciated by most of the teachers in the district and also adopted by the state Govt of Telangana for selection of best teachers in the state. In the system no teacher need to apply for the Best teacher award. A secret panel will be established to observe the teachers for the award for next year through out the year. No Unions involvement in the process and also it will make the teachers to work more sincerely.It is bieng appreciated by so many teachers.